A new poll shows Canadian concerns about immigration haven't deepened, even as politicians have increasingly focused on the issue. Though the political debate over immigration and border security has made a lot of noise in recent months, it might turn out to be a dud in the 2019 federal election — or it could blow up in the face of the party leader who risks making an issue of it. A new survey by the Environics Institute shows that Canadians' opinions on immigration and refugees have hardly budged from the generally upbeat views recorded by the polling firm over the last few years. A majority of Canadians (58 per cent) say they do not believe that immigration levels are too high, while 76 per cent say that the overall impact of immigration on the Canadian economy has been positive. But the numbers suggest there's still an audience for a political party demanding a reduction in immigration and greater efforts to ensure immigrants adopt "Canadian values" — both policies embraced by the new People's Party launched by former Conservative leadership contender Maxime Bernier. This could prove to be a point of vulnerability for Andrew Scheer's Conservatives. The Conservatives have been sharply critical of Prime Minister Justin Trudeau's immigration policies since the beginning of a surge in the number of asylum seekers crossing Canada's borders illegally. 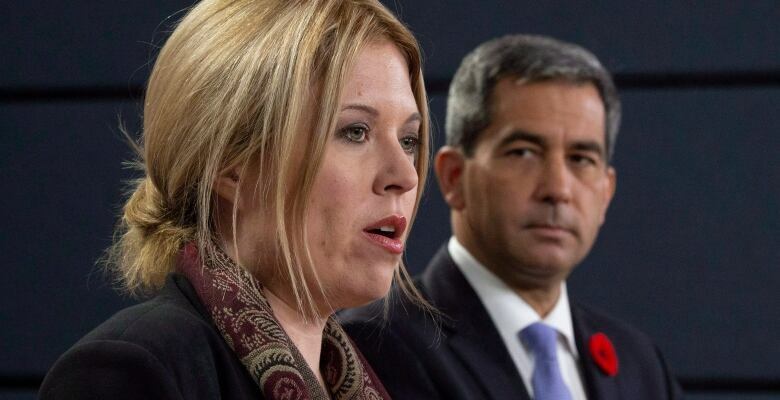 But those criticisms have been limited to questions of fairness regarding those asylum seekers who try to enter Canada illegally, and claims that the government has no plans in place to adequately house, employ and integrate immigrants. The Conservatives have been careful to state that they are pro-immigration and are not asking for a reduction in the annual intake. But that puts the party at odds with many of its own supporters — who appear to be more in line with where Bernier's party is positioning itself on the issue. Overall, immigration isn't a top-of-mind issue for voters, according to the Environics Institute poll. Only five per cent of Canadians — and just six per cent of Conservative voters — cite immigration and refugees as the most important issues facing Canadians today. That's up only one point since April 2017. Over the same time, the percentage of Canadians who list the environment and climate change as the most important issue has jumped five points to 10 per cent, second only to economic issues. Health care, the government's record, social issues and unemployment also scored higher than immigration in the Environics Institute's research. Immigration ranked low on the priority list in Quebec, where the bulk of asylum seekers have crossed into Canada and where a provincial election was just waged, in part, over the issue of immigration. Only seven per cent of Quebecers listed it as their top issue. On immigration levels, the legitimacy of refugee claims and immigrants' impacts on the economy, opinions in Quebec were in line with those in the country as a whole. This suggests those seeing a hard line on immigration as a winning formula in Quebec are drawing the wrong lessons from the Coalition Avenir Québec's win in the October provincial election. The CAQ promised to reduce the province's immigration intake and do more to integrate those who arrive. But the Liberal government of Philippe Couillard was unpopular long before immigration popped up as an issue in the campaign — and CAQ Leader François Legault's clumsy handling of the file nearly cost him his victory. The starkest divisions in Canadians' views on immigration are found not between regions, age groups or education levels, but between supporters of the major parties themselves. While Liberals and New Democrats generally view immigration in the same positive light, Conservative voters see things very differently — though they are no longer alone on that side of the spectrum. The Environics Institute poll surveyed a small sample of just 63 People's Party of Canada supporters, so the margin of error on the PPC numbers is high. But the difference between Liberal and NDP supporters on the one hand and Conservative and PPC supporters on the other (and the strong similarity between the views expressed by the last two groups) is so marked that the results are still meaningful. Just 22 per cent of Liberals and 24 per cent of New Democrats think Canada takes in too many immigrants. But 52 per cent of Conservatives and 47 per cent of PPC supporters think so. Meanwhile, 58 per cent of Conservatives and 55 per cent of Bernier's supporters think most refugee claims are illegitimate. Just 30 per cent of Liberals and 32 per cent of New Democrats agree. And 73 per cent of PPC voters and 70 per cent of Conservatives think too many immigrants are failing to adopt "Canadian values," compared to 38 per cent of Liberals and 40 per cent of New Democrats. Perhaps most stark are the responses Environics heard when it asked whether immigrants make the country better or worse. While 62 per cent of Liberals say immigrants make the country better and just six per cent think they make it worse, Conservatives and People's Party supporters were split three ways. Among Conservatives, 28 per cent said immigrants make the country better, 31 per cent said worse and 32 per cent said they make no difference. For the People's Party, those numbers were 32, 34 and 31 per cent, respectively. This suggests Scheer could be vulnerable on immigration if it flares up as an issue during the 2019 federal election campaign. The Conservative Party might find itself out of step with its own supporters. Normally, that wouldn't be a problem — these voters were not going to head over to the Liberals or NDP — but Bernier's People's Party will be an option on the ballot that didn't exist before. One thing that does separate Conservative voters from People's Party supporters is U.S. President Donald Trump. Only 13 per cent of Canadians approve of the president and Conservatives say they disapprove of Trump by a margin of two-to-one. PPC voters are split down the middle on Trump — which perhaps explains why Bernier hasn't shied away from adopting a "Canada first" message in recent speeches. But while immigration might not turn out to be the central issue of the next federal election, immigrants themselves could play a key role. The poll suggests that if the Liberals win next year, immigrants could be an important factor in that victory. Among voters born in Canada, the Conservatives led the Liberals by two points in the poll. But among voters born elsewhere, the Liberals held a 16-point lead. That's what makes the difference between a neck-and-neck race and an environment that favours the re-election of Trudeau's government. But the poll also suggests that there's very little difference between how Canadians born in this country and those born outside of it see immigration. In other words, however a party drafts its immigration platform, the degree to which that platform appeals to voters won't depend on how long those voters and their families have been living here. One noticeable difference in opinion emerged on the question of whether immigrants make Canada better or worse. By a margin of 54 to 15 per cent, immigrants said that immigration made Canada a better place. Among people who were at least third-generation Canadians, however, the margin was 40 to 19 per cent. That suggests immigrants are (understandably) sensitive to questions about the value they bring to their new home. Policies that advocate for better integration, or lower intake targets, may not repel immigrants any more than they would non-immigrants. But the perception that a party is anti-immigrant could cause it some real trouble. In short, immigration looks like delicate balancing act for any party wading into the debate without a positive story to tell.